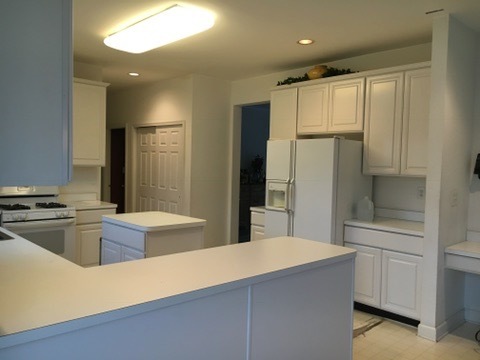 My first meeting with this client we discussed the fact that she wanted to keep a white kitchen. 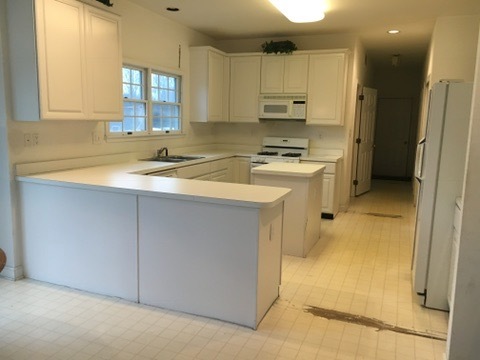 Despite loving white kitchens, she was tired of all the white as you can imagine by looking at the before pictures. 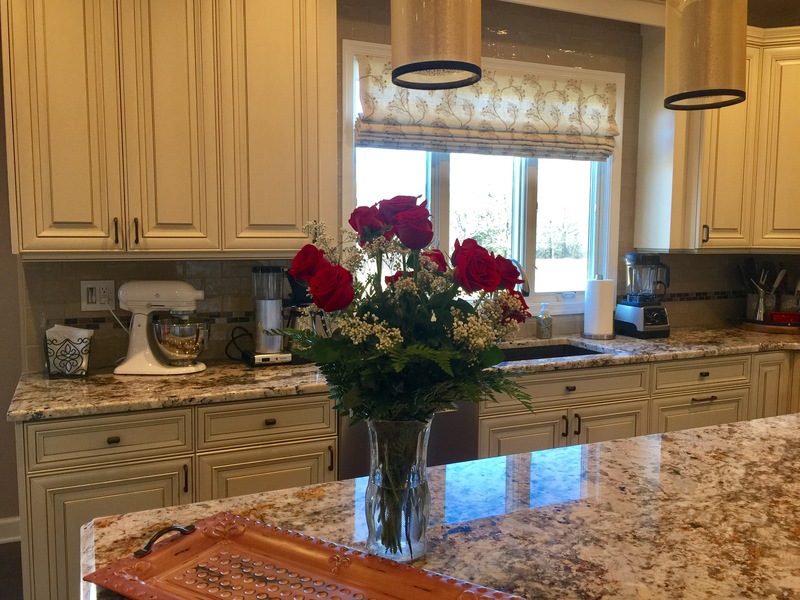 She wanted something more… something warmer… but was confused on how to warm up a white kitchen which is usually very cool. 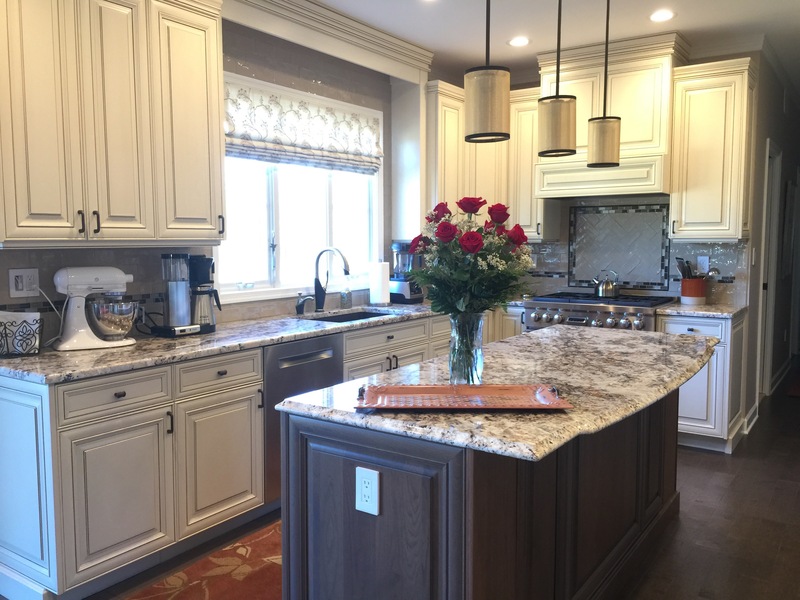 So we warmed up her white kitchen dreams, by using a custom color and mocha glaze on her new elegant white custom cabinetry. 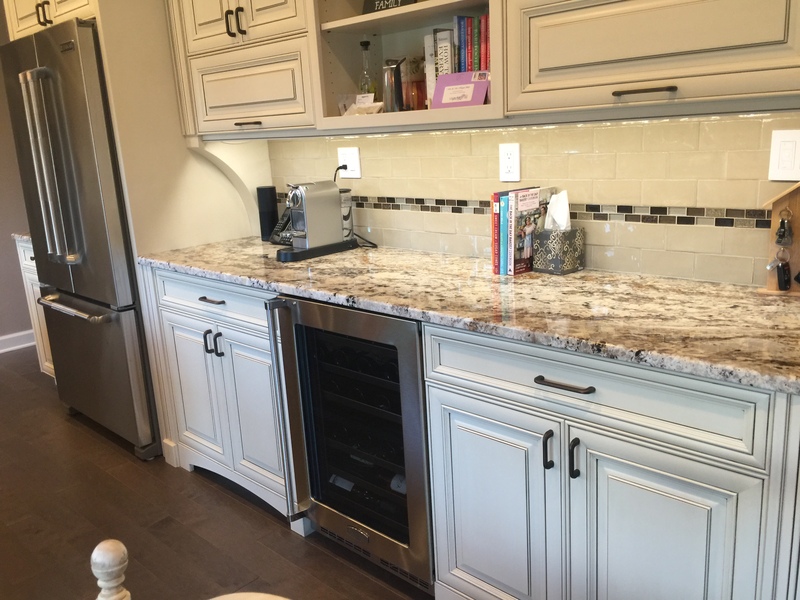 To continue with the feeling we chose a alluring gray finish on the island. 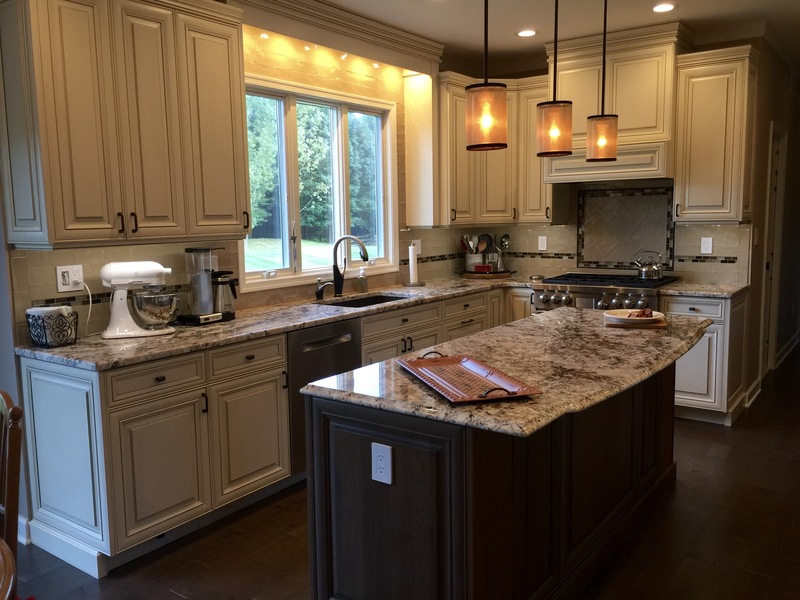 Applying expert style and design sense along with the precision and expertise of cabinet maker/contractor Roland Majer, we brought this efficient gourmet kitchen to an upscale level! 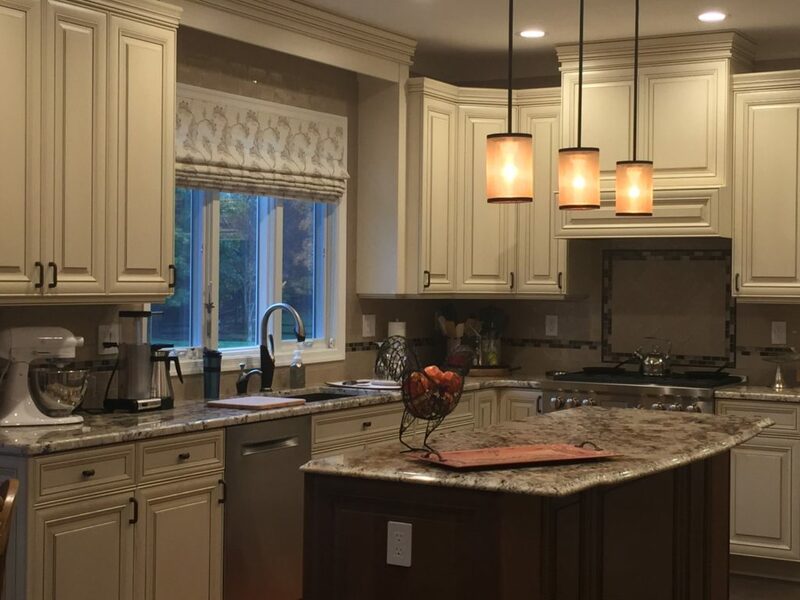 Just imagine the delicious, mouthwatering meals coming out of this functional and luxurious epicurean kitchen! This client LOVES to cook, so the Wolf range and all state of the art appliances were the first choice made in laying out this kitchen. We chose a hardwood floor and found a warm gray 5” plank with a beautiful matte finish. 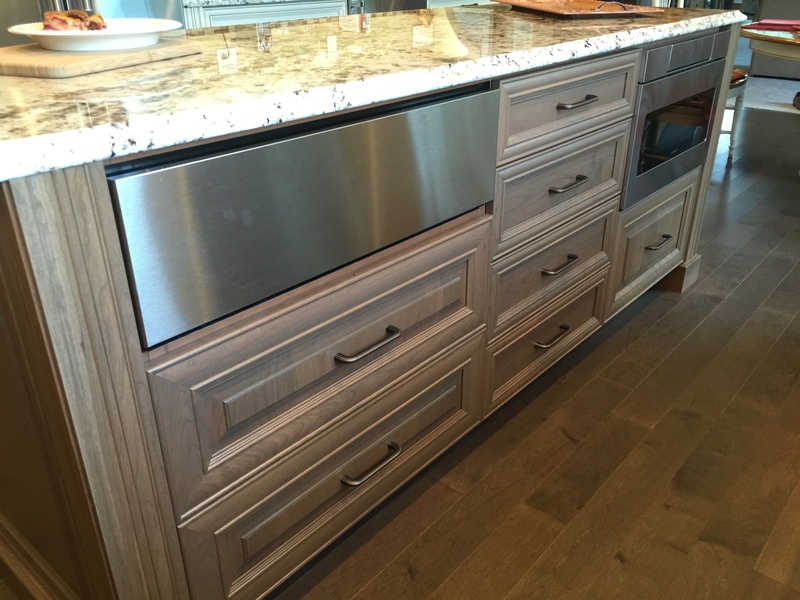 The door style on the cabinetry is detailed, but the straight lines modernize the look. The pendant light and drum chandelier also lend a more modern vibe to the room. 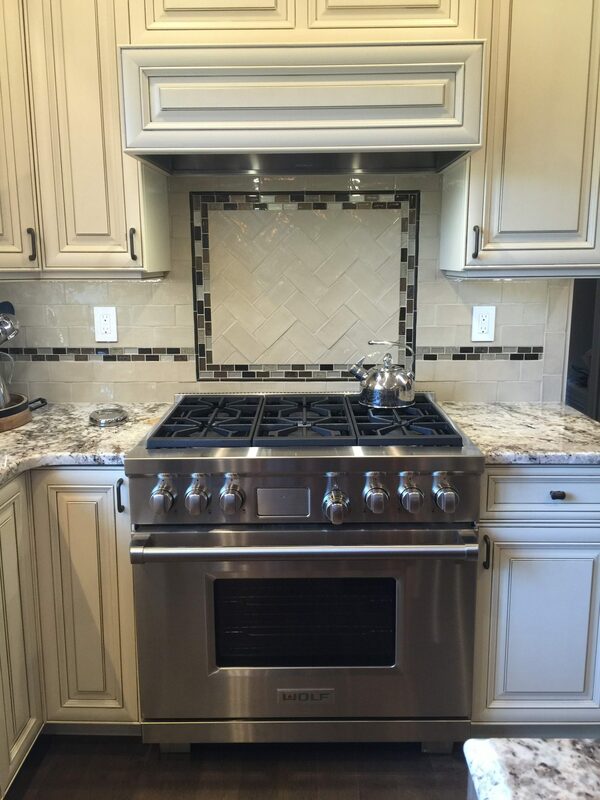 Movement and excitement was created with the countertop, and finished off with a gorgeous hand made tile accent in a herringbone pattern behind the range. The paint color was selected last to harmonize all the finishes. And finally, beautiful window treatments finish the room with elegance.